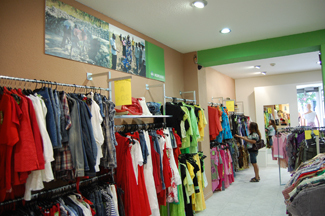 This new store is located on Calle Atocha, 33, Metro Sol and has a sales area of 150 m2 on one level where you can buy clothes and accessories for men, women and children as well as footwear and textile home. The facility is capable of holding 6,000 clothes. The premises, situated in a predominantly tourist, has a facade of five meters, which gives it high visibility. 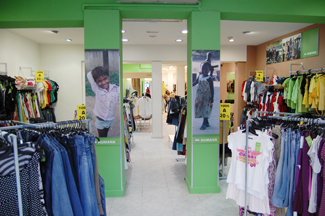 Overall, this establishment, like the other 29 Humana has in the Iberian Peninsula, is aimed at three types of customers: first and foremost, those seeking a certain quality clothing at low prices, ie people with an average purchasing power with a taste for quality clothing, for example young people or immigrants, and second, those who want to work with development cooperation projects of the Foundation, and third, those looking for unique and special clothing. The resources obtained through Humana's 29 stores in Spain and Portugal allow the financing and implementation of development projects in Africa, Latin America and Asia in the fields of education, agriculture and rural development, community development, diseases and emergency and assistance.